And, of course, can’t forget his Ma! Been that way since they said goodbye to Pa. When sense won’t bring back your fotter. Can play the bass real nice. But she’s always busy makin’ pies. Wouldn’t it be nice if they didn’t have to worry? And could let those cares just drift away? Strummed on a guitar that has mother-of-pearl inlay? Entering into a folksy battle of the bands. Alongside ma and her sweet voice. And “The Nightmare”, Riverbottom’s rowdiest boys. Who, pray tell, will win? What lessons will be learned? Will “The Nightmare” become a reality? 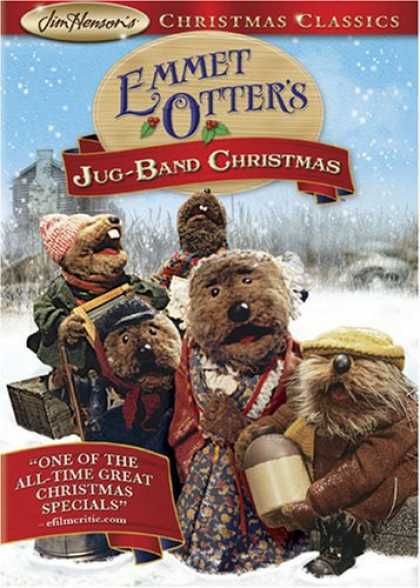 You should give Emmet Otter’s Jugband Christmas a little bit of your holiday time. One of my favorite pieces of bedroom furniture, apart from the bed itself, has to be the armoire. Stately, solid, beautiful, and functional, these handcrafted (often antique) works of art have been an integral component of a well-furnished bedroom for hundreds of years. Armoires are similar to what we think of as dressers, but with a few notable differences: armoires are taller than they are wide, do not include a mirror (though some newer armoires may have mirrored paneling on the cabinet doors), and feature a large, two-door cabinet that you can hang clothes inside of (dressers contain only drawers). Armoires were borne out of necessity, since closets weren’t common in homes until recently. The word armoire originates from the Latin word “armorium,” which was a chest used by Roman soldiers to store their arms. 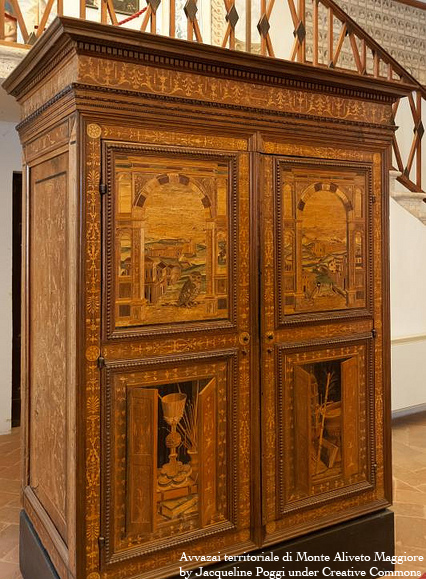 The modern day armoire was first developed in France during the early 1500s, and quickly became cherished family heirlooms used to store valuables (mostly textiles). You can read an interesting piece about armoires from the Nov. 19, 1985 edition of the Dispatch, here. Armoires were very popular in the United States during the 1990s. Not wanting their bulky television set to be on permanent display, many households purchased oversized armoires—often high dollar antiques—to hide their bedroom electronics. Today, ultra-thin LED televisions and wireless components have made hiding technology much less of a chore, which has brought down the market premium on antique armoires making them more affordable than they once were. While you aren’t likely to be storing a television inside armoire today, they remain very versatile pieces of furniture that can serve as the focal point of your bedroom. Whether you need additional space to store your clothes, linens, or books, armoires still have a place in the modern home. Best of all, they come in almost unlimited shapes, styles, and sizes so you’re sure to find one that fits your bedroom design. Construction methods have also evolved, making armoires much easier to move (in pieces) than earlier armoires that could only be moved as a complete unit. 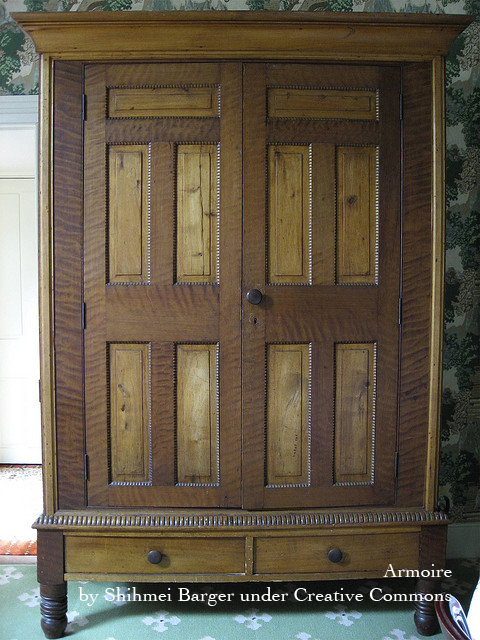 You can see some more armoire eye candy over at Houzz. How do you, or would you put an armoire to use in your bedroom? Share your ideas in the comments below. Get out those apples again – we’re making fritters! As autumn turns to winter each year, I’m reminded of my mother, who would heat up a batch of oil, and fry us up some old-timey fritters. A wonderful contradiction of tangy, sweet, crispy, and soft… But these are not your mother’s fritters – yesterday’s pancake batter has been updated with bubbly effervescence – beer! Carbon dioxide, foaming agents, and, of course, alcohol conspire to form the perfect triad for creating light, crispy crusts. 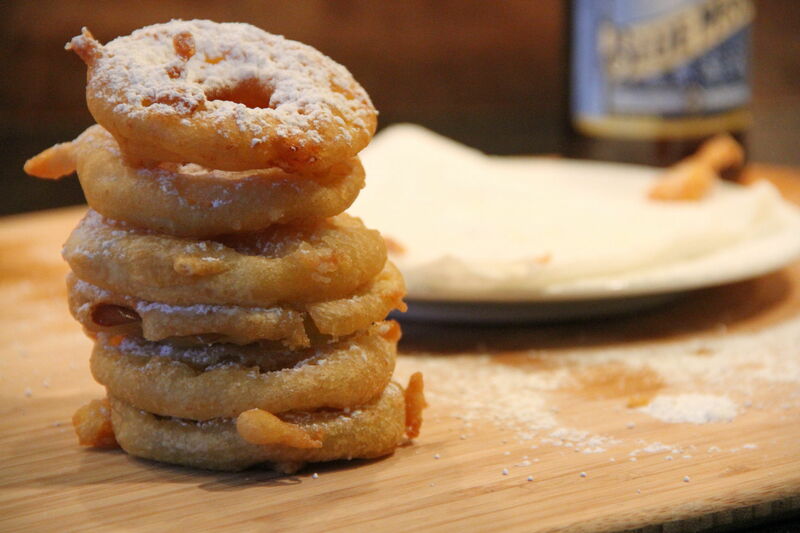 Webster’s dictionary describes a fritter as “a small mass of fried or sautéed batter often containing fruit or meat”. This foodstuff is age-old, ancient and across-the-board. Burmese make small fritters similar to falafel called a-kyaw; there are both sweet and savory Indonesian gorengan; and let’s not forget Japanese tempura or Phillippine kwek-kwek! But back to my mom and her apple fritters. She did do something a little different. 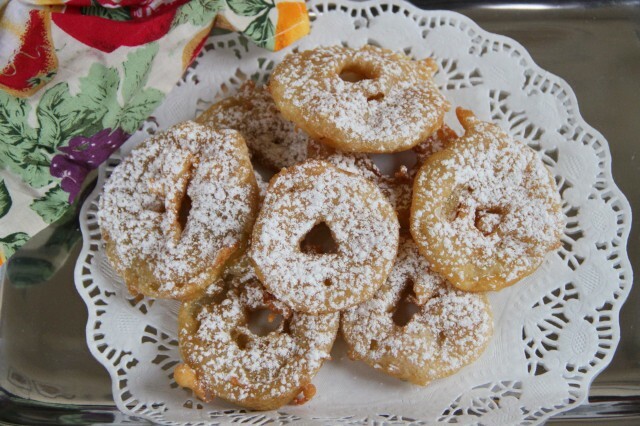 Instead of commonly adding chopped apples to the batter before frying, she merely sliced the fruit in rings before dipping them in a floury egg bath and cooking to a golden perfection. I like the beer dip, though. Not only for the light crispiness it helps to achieve, but for the modern, edgy flavor that lets you know you’re in for something special. In other words, a breakfast in bed that happens only once in a Blue Moon. Pour oil at least 2 inches deep into a small, heavy pan. Heat over medium heat to approximately 350°. Mix together flour, sugar, salt and cinnamon in large bowl. 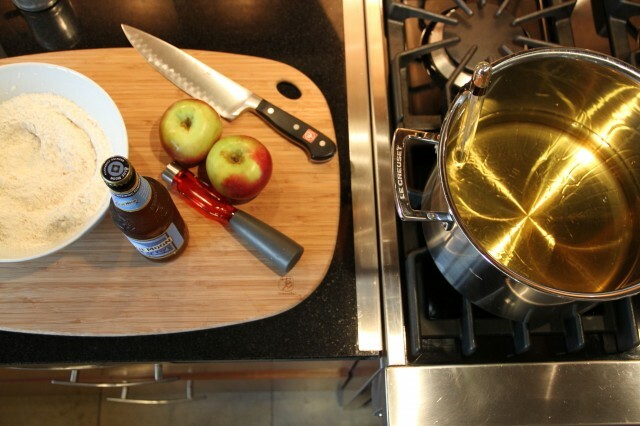 Whisk in beer or club soda until just mixed. Do not overmix. Set batter aside to rest a few minutes. 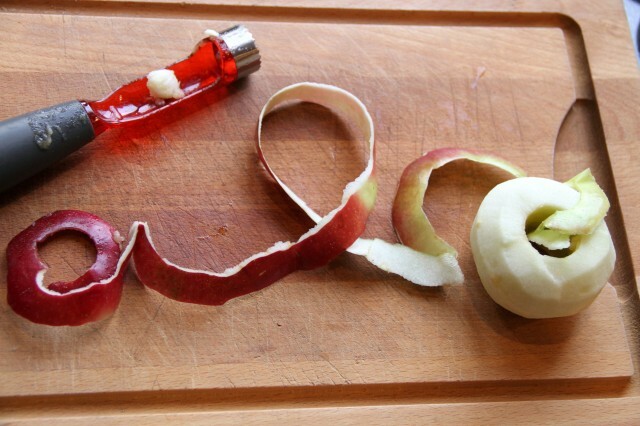 Pare and core apples, then slice into ¼-inch rings. 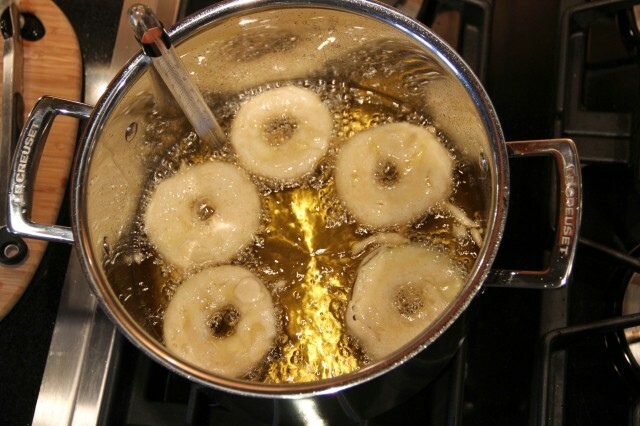 Using long tongs, dip apple rings into batter, gently shaking off any excess, then into hot oil. Cook until batter is crisped and golden, carefully turning once, about 3 to 5 minutes. Drain and cool slightly on paper towels. Sprinkle with powdered sugar and serve hot. NOTE: Monitor oil with candy thermometer to maintain stable temperature. I don’t know about you, but I need a little heart art right now. I’ve been thinking about switching up the art in my bedroom for a while. It’s been about five years since my last major bedroom redo and it feels like it is time for a change. The artwork in your home should always represent you- the people you love, the places you’ve been, how you want to feel. Artwork is deeply personal. My selections may not be your exact selections (that would be creepy), but know that for a quick and budget friendly bedroom update, new artwork that you feel passionate about is a great way to go. 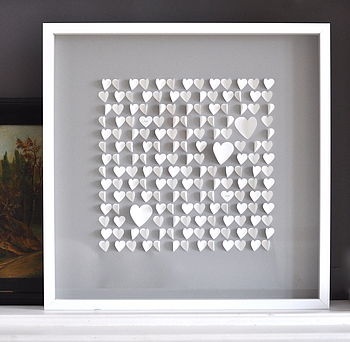 These paper hearts look like they might fly right out of the frame. I appreciate the homemade, but stylish quality of this piece. 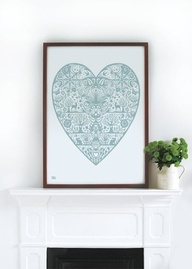 The intricacy of this Nordic heart is simply beautiful. I like the feeling of having a full heart on my wall and in my body. 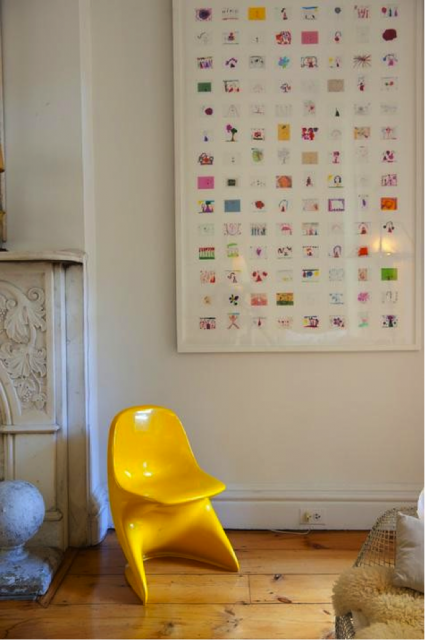 Sometimes the best art for your home is created by someone you love. 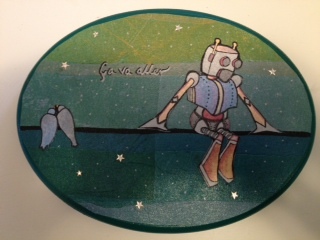 This is a piece that I picked up at Portland’s ginormous annual art fair, Crafty Wonderland last week. A friend of mine made this and it assures me that everything will be okay. Children’s artwork will always have a place in my home. There is nothing more cheerful, uplifting, and sometimes downright funny than pieces made by kids. As a teacher, I am gifted many drawings throughout the school year. I love the idea of scanning pictures down to a small size to create a happy collection. This is a great way to enjoy many favorite pieces at once. Take care and lots of love to you and yours. Hi folks! We’ve got a special treat for you all today. Direct from some vague Midwestern town where children frequently suffer from bouts of depression and apathy, child star Charlie Brown is here to tell us all about his timeless and beloved holiday special, “A Charlie Brown Christmas!” Let’s take it away! Josh Zinn: Hi there, Chuck. Can I call you Chuck? Charlie Brown: I guess. I mean, it’s kind of overplayed and all, but do what you like. JZ: Wow. I never knew you were so, what’s the word? JZ: No, I was going to say sarcastic. Huh. I guess I just never suspected someone with such a big head and such a dour look on life would dare be prickly. It’s not like you have a lot of friends to begin with. CB: But what? Oh, let me guess, you must just LOVE the song “Christmastime is Here,” huh? JZ: Yeah, it’s very nice. Sure, they play it too many times at Starbucks, but it is pretty. CB: Yeah, ooooh: “Christmastime is here/happiness and cheer.” Wow, what a lyrical powerhouse! You and every other hipster that’s out there have such unique taste. Let me guess, it sounds better on vinyl, right? JZ: I think we’re getting off on the wrong foot here. CB: Sorry. Look, I just… This special brings up some really bad memories for me, okay? JZ: Why? Because you spend most of the special pondering your worth via the existential ennui that often sets in for people around the holidays? JZ: And it becomes evident early in that all of your chums from school have zero respect for you, both as a peer and as a human being. JZ: Heck, even your dog boos you at one point when you’re trying to direct the Christmas pageant. CB: Yeah, that stung a bit. Stupid dog. JZ: Oh, and let’s not forget the tree. I mean, I get that it’s supposed to be touching because you basically rescue this imperfect thing that’s dying in a sea of plastic artificiality, but couldn’t you tell when you saw it that everyone was going to hate you for buying it? JZ: Or did you just not care cause everyone hates you already? In that case, was this some fit of rebellion on your part? Did you think that by purchasing the crummy invalid tree you’d be making a bold statement about your own perceived lack of worth? Isn’t that basically just making the entire tree-buying scenario into something self-serving rather than something that is meant to serve the play? Has anyone ever called you a narcissist? CB: Jeez, you are reading far too much into this! I just bought it because I felt bad for it, okay? Wouldn’t you feel bad if you saw something that you knew no one would probably ever want, but you knew had some kind of worth to it? Wouldn’t you want to give it a home? JZ: Okay, Charlie. What I’m trying to convey here is that, yes, I get why you bought the tree on a very surface “Christmas is a time of redemption” level, but I want to know if you have given much thought as to how the tree’s journey mirrors your own desire to be seen as someone who is worthwhile? I mean, all the kids do come to love it and don’t you want to be loved too? CB: Yeah, they come to love it, but that’s only after Linus makes another one of his grandiose sermonizing speeches that are meant to be heartfelt, but make him come across as some kind of creepy and weird know-it-all. And yeah, I want to be loved. Doesn’t everybody? Hey, why aren’t you asking me any questions about what’s wrong with all the other kids in the special? It’s not as if Lucy comes across as all that put-together either. Plus, her ego is ten times the size of mine. JZ: Sure, but the show isn’t called “A Lucy Christmas,” is it? JZ: Regardless of whether it’s your fault or not, the onus is on you Chu… Charlie. CB: Yeah, I get that. That’s why I told you that this whole thing brings up bad memories for me. Fine. Yes, I wanted to be loved just like the tree. Yes, I bought it because it reminded me of me. Yes, I am lonely. Yes, my dog hates me. Yes, I seek out emotional gratification by attempting to please others but oftentimes I shoot myself in the foot because I get angry that I have to resort to such pathetic maneuvering. The tree is me. THE TREE IS ME Are you happy? JZ: I think that’s a question you should probably be asking yourself, Chuck. 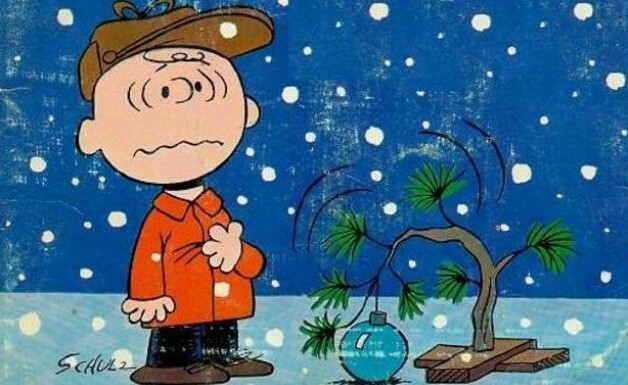 Anyway, Merry Christmas, Charlie Brown!